Pain is what the person says it is. Although this can sometimes be hard to comprehend, it is the fundamental point of pain assessment in our patients. 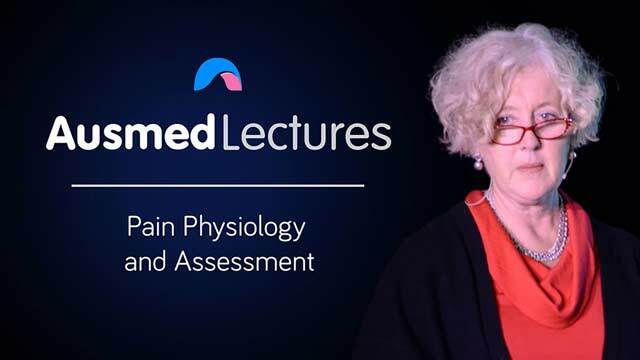 Professor Margaret O'Connor reminds us in this informative talk that pain is multi-factorial and can be interpreted according to our own experiences, and ideals of pain. Therefore a holistic pain assessment requires us to be open to other's beliefs, experiences and interpretations of pain. Professor Margaret O’Connor is the inaugural Professor of Nursing at Swinburne University in Melbourne. Prior to this she was the Vivian Bullwinkel Chair in Palliative Care Nursing at Monash University, where she established and led a successful Palliative Care Research Team. Margaret’s research has been widely published, concentrating on models of palliative care , issues of culture and the end of life needs of particular population groups. From 2006 to 2011 Margaret served as the President of Palliative Care Australia and in 2005 she was made a member of the Order of Australia for her significant contribution to the establishment and development of palliative care services in Victoria. She also sits on several committees and Boards.